The draft King IV Report on corporate governance was released for public comment on 15 March 2016 by the Institute of Directors in Southern Africa (IoDSA). King IV has been released for comment at a crucial time in South Africa’s history. You should download a copy and comment on it by 15 May 2016. It applies to all organisations in South Africa. It is about 85 pages long and includes both the report and the code, but it is a relatively easy read. The drafters have made an effort to make the content accessible. For example, on page 32 there is a useful overview of King IV™ on one page. The code starts on page 33 and there is a greater emphasis on governance outcomes. You now have an opportunity to influence and contribute to the final version. You can submit your comments online or ask us to do it for you. 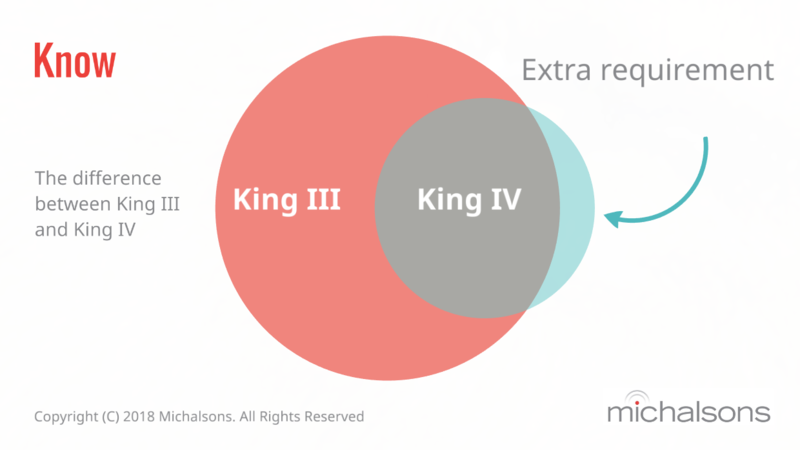 It is referred to as King IV™ and not King 4. 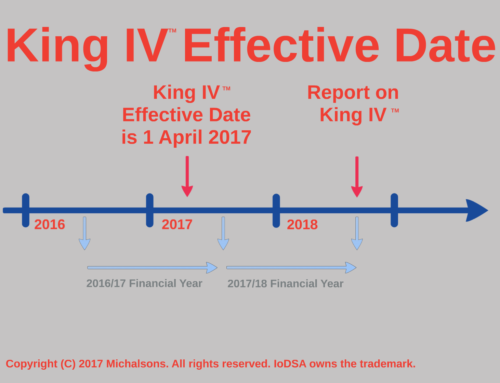 Changes in the King IV Report? 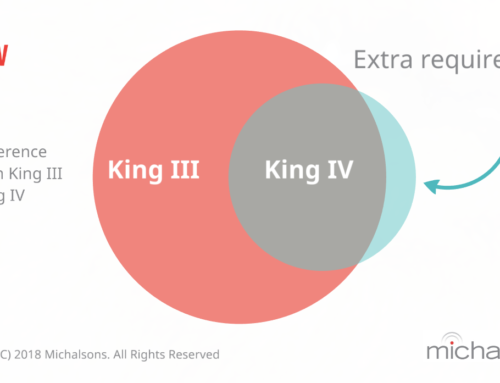 Although King IV™ is based on the underlying principles of the previous King Reports, it emphasises stakeholder inclusion, IT governance and disclosure. Each version of King builds on the one before. You can submit your comments on the draft report to the IoDSA via their platform. There are various forums on their website where you can comment on the King Report. The comments made by other people on the King IV Report™ will be transparent and you will be able to view them on the website. This is a good thing. 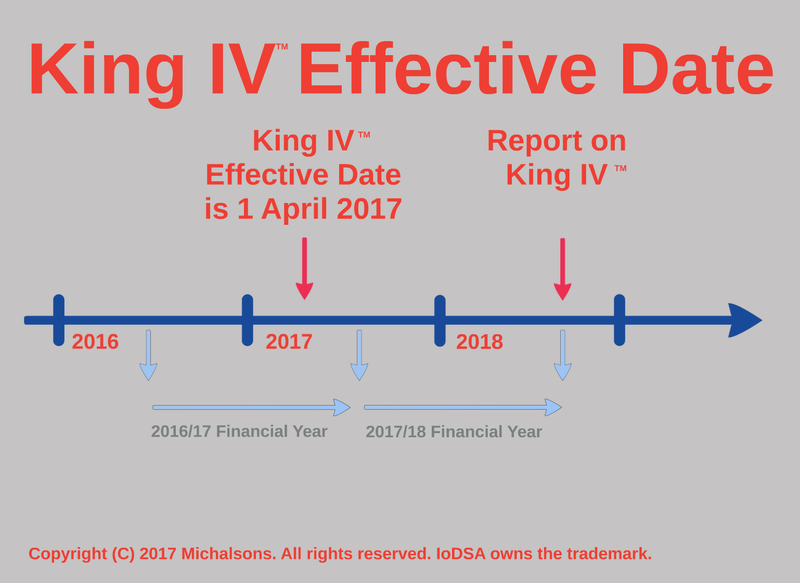 According to the IoDSA the final King IV Report™ will be available by 1 November 2016. Increase your awareness by attending a practical workshop on IT GRC. 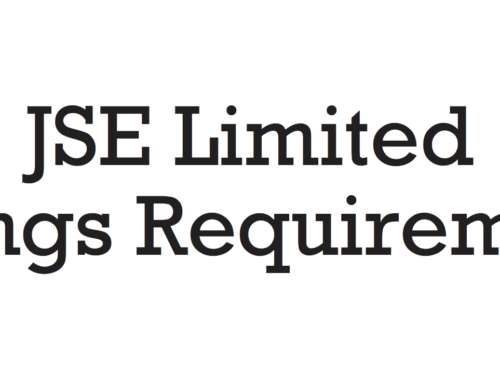 Comply with IT Laws by getting a List of IT Laws and the Michalsons IT Legal Framework. Read a plain language overview of the King Report and King Code.